David Bowers has been one of the leading Australian contemporary pop artists over the past 20 years. His iconic paintings and art work have been displayed in galleries across the world, and he’s made a name for high-class art exhibitions. His work has graced the covers of many magazines and other publications, spreading his appeal to a wide audience. 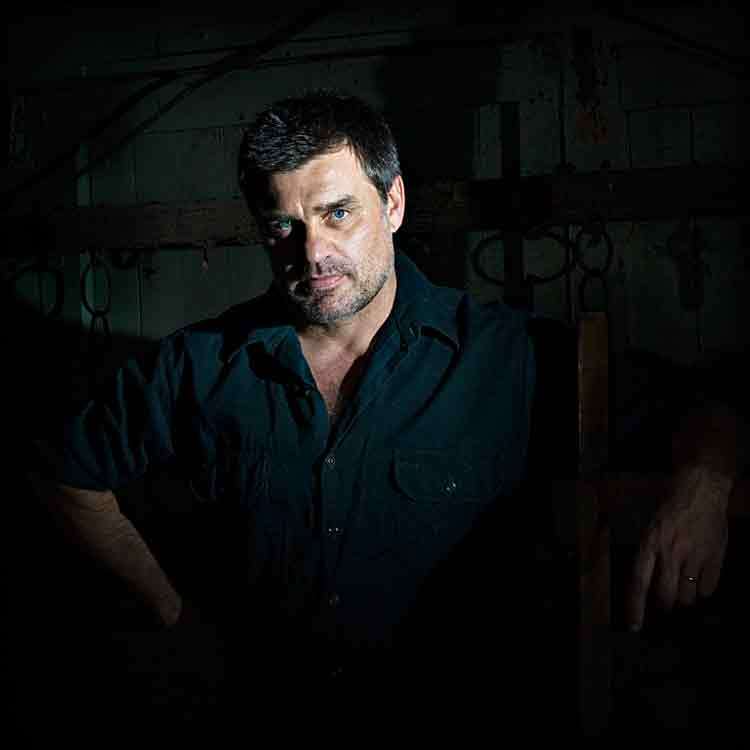 Dave was born in Geelong, Victoria in 1964. The inspiration for his unique pop art style and materials was born from his upbringing in the outer-west suburbs of Melbourne. He scavenged cardboard boxes, signage and other materials, delighting in the bright colours, pattern work and exotic lettering. Always most comfortable with a paintbrush or pencil in hand, after graduating with a degree in Graphic Design from Monash University’s Caulfield Campus, Dave gravitated towards creativity in his artwork. In 1992, he created Umgawa with partner Nick Morris. An edgy art/street clothing label featuring quirky designs and bold colouring, it caught the attention of Dare Jennings, head of Mambo, and led to a long-lasting relationship. When he sold Umgawa, Bowers became a Mambo fixture and further developed his eclectic style. Over the past 20 years, Bowers has built up an impressive collection of art work and featured in a wide range of shows and exhibitions across the world. His shows are regular sell-outs and his world-renowned paintings have been gracing homes and galleries all over Asia, America and Europe. 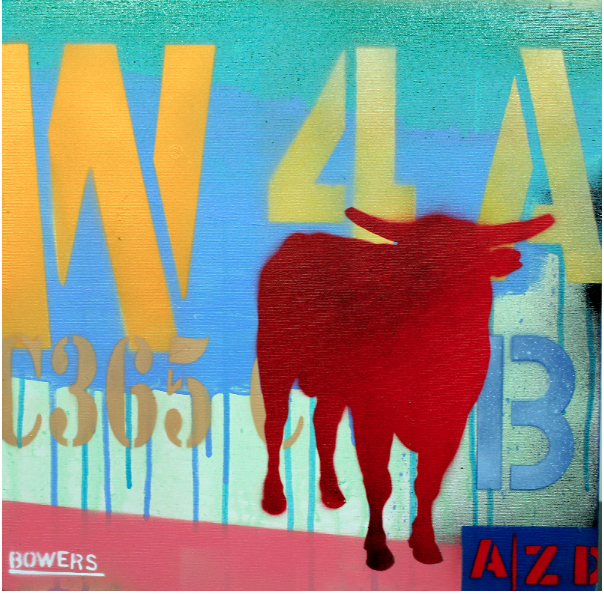 The wide appeal of Bowers’ art is that it crosses mediums, styles and themes with abandon. 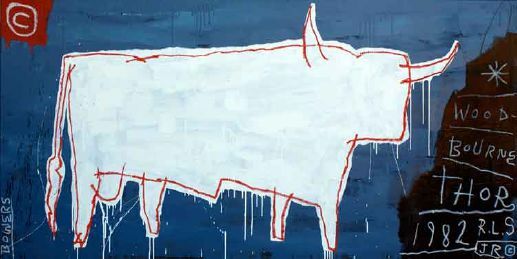 While his early works were shaped by the landscape of his adolescence, his later works have developed to include cartoon-style references and have been influenced by the graffitied Melbourne streets. 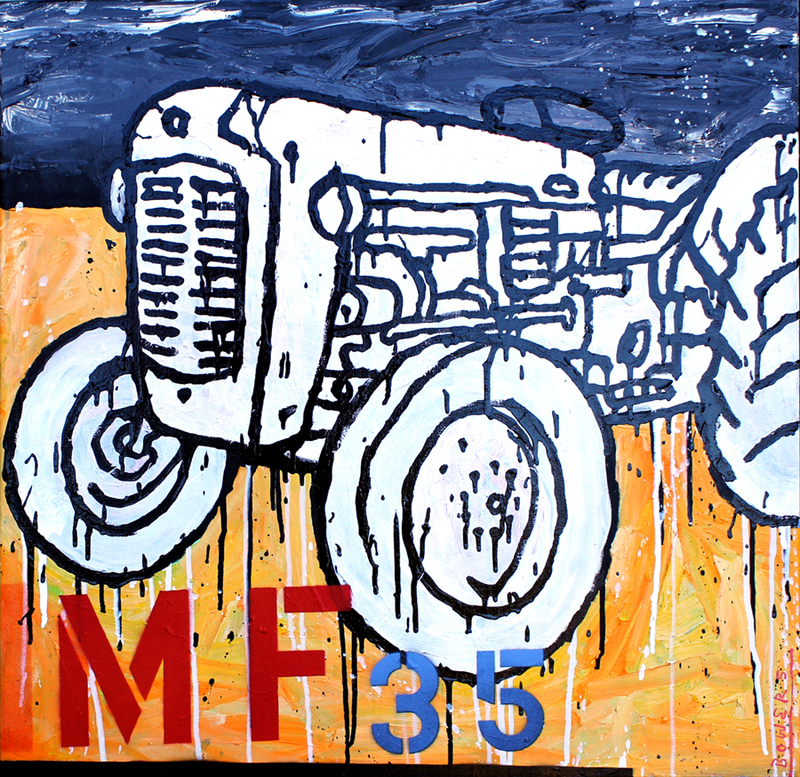 Bowers works with what he has at hand, and materials to complement the themes of his art, including acrylics, oil sticks, enamel and plywood. Nick Morris, Bowers’ long-time friend and colleague has been a steady presence over the years. 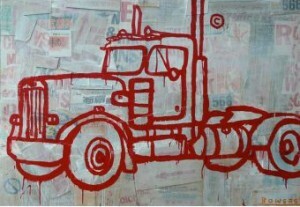 The two regularly collaborate on works under the joint pseudonym “Doug Bartlett”. In 2006, they were honoured as guest speakers at the Semi Permanent Art Design conference in Sydney and Perth. To purchase work by David Bowers or Doug Bartlett, please contact Dave. More information about Dave, including past and upcoming exhibitions, can be read on his blog. David Bowers 10 year retrospective, December 2, 2014 – January 12, 2015 Mario’s Cafe, 303 Brunswick Street Opening Night Wednesday, December 3, 2014 6pm.